A 4-year-old girl who almost died a few days ago in consequence of the flu woke up from coma and is actually breathing on her own for the first time in nine days. Her parents and people from the hospital are amazed since it was thought it would be difficult that the girl would recuperate. The National Institute of Neurological Disorders and Stroke wrote that a coma, sometimes also called persistent vegetative state, is a profound or deep state of unconsciousness. Persistent vegetative state is not brain-death. An individual in a state of coma is alive but unable to move or respond to his or her environment. Individuals in such a state have lost their thinking abilities and awareness of their surroundings, but retain non-cognitive function and normal sleep patterns. Gemma’s parents asked their friends around the globe to prey for their child on Sunday before Christmas. Photo: The Daily Mail. The father of Gemma said to CNN in an interview, what occurred was beyond belief, he added everyone in the hospital had their spirits lifted and they said they lived for moments like that. 99 percents of the chances of waking up where against Gemma. Her mother, Lejla Szabo, who also talked to CNN remarked that she didn’t think a flu could lead to something serious such a coma state. According to reports Gemma had a mild flu that then developed and caused her a rash and attacked her heart muscle. Her parents took her to the emergency room on December 17 and she went into cardiac arrest. Doctors and nurses performed cardiopulmonary resuscitation (CPR) to the girl, but after 45 minutes they told her parents she needed to be attached to a life support machine. Doctors stated Gemma needed a heart transplant and she was transported in a helicopter to All Children’s Hospital Johns Hopkins Medicine in St. Petersburg, where she was received by thousands of staffers, as CNN reported. It wasn’t sure if the heart would arrive on time, but surprisingly the heart of the loved girls started to beat again, and two days later it was working well enough. “When an adorable little girl recovers from a near death experience, it reminds all of us of why we do what we do. Sometimes we don’t understand everything that happens in medicine,” said Jacobs, director of the Johns Hopkins All Children’s Heart Institute, after the girl stopped receiving life support. Doctors still can’t explain why her heart recovered. Gemma is expected to recover from the unexpected complication. 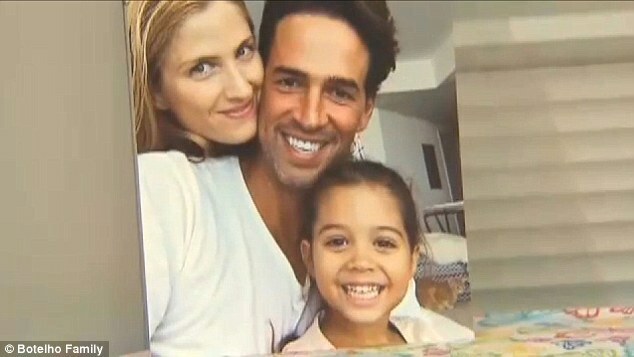 After the incredible phenomenon occurred to the girl, her parents encouraged everyone to get the vaccine for the flu. According to CNN every year some 20,000 children under age 5 are hospitalized with complications from the flu. In December the Center for Disease and Control Prevention encouraged Americans to get the flu vaccine, even when the flu season is having a slower start than usual. The institution wrote than everyone 6 months of age and older should get a vaccine every season. Elderly adults should pay special attention to the vaccine since during recent flu seasons, between 80% and 90% of flu related deaths have occurred in people 65 years and older.